Our apartments are surrounded by a large garden bordering with the olive grove and a small forest, offering space for relaxing walks inmidst of nature while enjoying amazing views. A panoramic swimming pool with sun loungers and parasols, a bowling playground, the yoga terrace and barbecue areas are at our guests’ disposal. A small welcome gift, our “Pancolina Guide” and a well equipped library will make you feel right at home and give useful information for your stay in one of the most scenic territories rich of history and art. Of course we will be happy to assist you with your bookings or preparation of individual tours. Nestled in the beautiful olive grove with magnificent views on the Tuscan hills, our pool is the ideal place to relax and have fun: refreshing during hot hours in summer, relaxing after a cultural tour, romantic at sunset and inviting for a drink by the pool. The solarium and a green area with parasols and sunbeds are available for our guests. Dimension of the pool 6 x 10 m.
A beautiful panoramic terrace invites our guests to participate in Yoga, meditation or pilates activities for the complete relaxation of body and mind. Moments without time and commitments immersed in nature to slow down, contemplate and escape from everyday stress. Breathing and elongations to balance the spirit and awake sensitivity of the body. This open space can ideally also be used for other activities or events. Learn the art of Tuscan cooking and discover genuine and tasty dishes of the typical local cuisine. Choose between a four course menu, a pasta or pizza lesson, set up in a pleasant and familiar atmosphere, during which to discover culinary traditions and local ingredients and get acquainted with new recipes, sharing secrets and experiences with fellow cooks. The lesson ends with a lunch or dinner of the dishes prepared, paired with local wines. Spend a day riding on an iconic Vespa, a mountain bike or E-bike along peaceful roads through rolling Tuscan hills. You can have fun by visiting the most authentic and genuine places, enjoying unique perspectives on amazing sceneries and landscapes. And why not stop for a wine tasting, a delicious light lunch or a refreshing icecream along the tour. 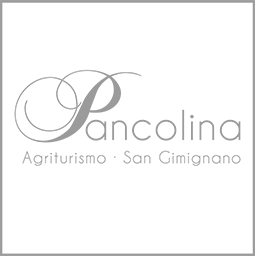 A fine selection of local wines and home-made extra virgin olive oil can be tasted in Pancolina. Enjoy a short tour through the authentic flavours of Tuscany by tasting different denominations from Vernaccia di San Gimignano to Chianti Classico and renowned Supertuscans. A fine bruschetta with organic olive oil from our production, a slice of ham and piece of cheese and the amazing views over Tuscan hills make this experience special. Copyright © Pancolina, all rights reserved.